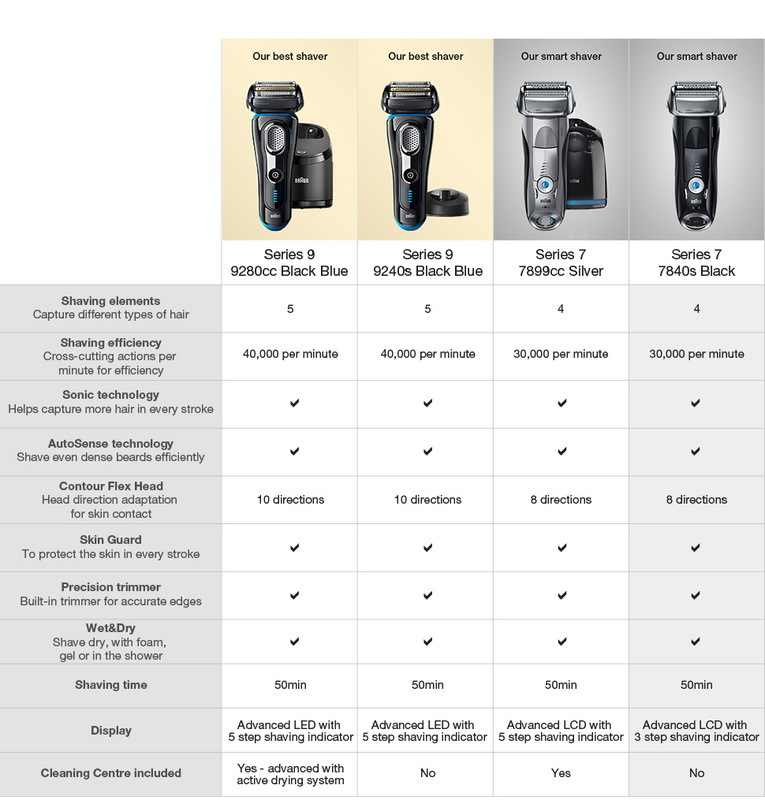 Series 7 Wet/Dry Electric Shaver Black plus Travel Case is rated 4.5 out of 5 by 26. Rated 5 out of 5 by MarkV from Close shave I have been using this shaver for a number of weeks now and am very impressed with the quality of shave. I have a tough beard which requires multiple passes with a blade to achieve a satisfactory result. Though the Braun series 7 doesn't shave as close as a blade, it comes close, and is the best of the electric shavers that I have owned. It seems to be well built, and feels good in the hand. Rated 5 out of 5 by Kaylin61 from Great Shaver We bought the Series 7 Electric Shaver for our Father-Grandfather for his Birthday and Fathers Day this year. He absolutely loves it. As he is older he said the shaver is easy to use, a fairly close shave (not like you would get with a blade razor though) and very smooth on his skin. What he also likes about the shaver is that he can use it in the shower and also with shaving cream. Rated 4 out of 5 by Nifty from Top shaver Used it for 1 month now and am very happy. Great for sensitive skin. If your expecting it to be closer than a blade you won't be happy. But in terms of an electric shaver you won't be disappointed. This was an upgrade from a Braun series 3. I get bad neck rashes from regular blades so electric foil shavers are what I use. Rated 5 out of 5 by ISR Tas from Smooth As! I have been using Philishave products for many years with OK results. When my last shaver broke down I decided to give the Braun Series 7 a spin, and I am sure glad I took the leap of faith. What shave. And the acid test? Well, let's just say the wife agrees it's the smoothest shave yet. Rated 4 out of 5 by Arnav from Great shaver with excellent features. I bought this for my Son as an early Christmas present, he's been using it for the last few weeks and loves it. It's a great size, easily packed up when he's travelled overseas recently and he's found it really easy to use & clean.